Very often referred to as “the end of the world,” Patagonia, the most Southern region of South America shared between Argentina and Chile, is filled with magical natural wonders. Majestic glaciers, jagged mountain peaks and crystalline lakes dominate in this area, whereas the population is rather scarce. 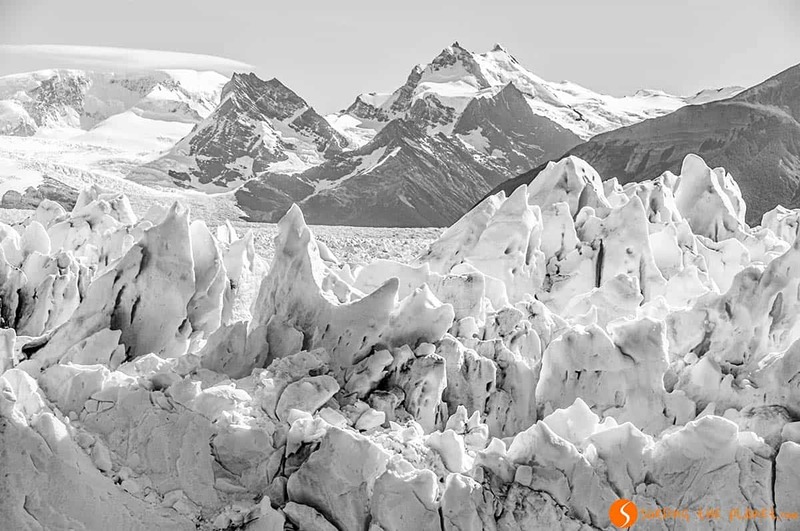 Although travelers visit Patagonia to explore the most beautiful places, the immense size of the area and the harsh weather conditions make you feel that you are on a land of undisturbed beauty. 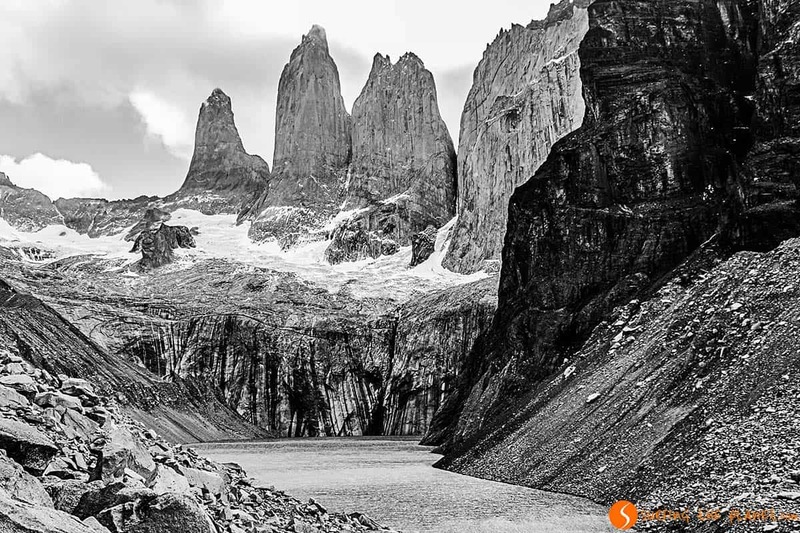 There are many places in Patagonia that is worth visiting, and we show you some of the most dramatic landscapes from the area through our black and white photographs. 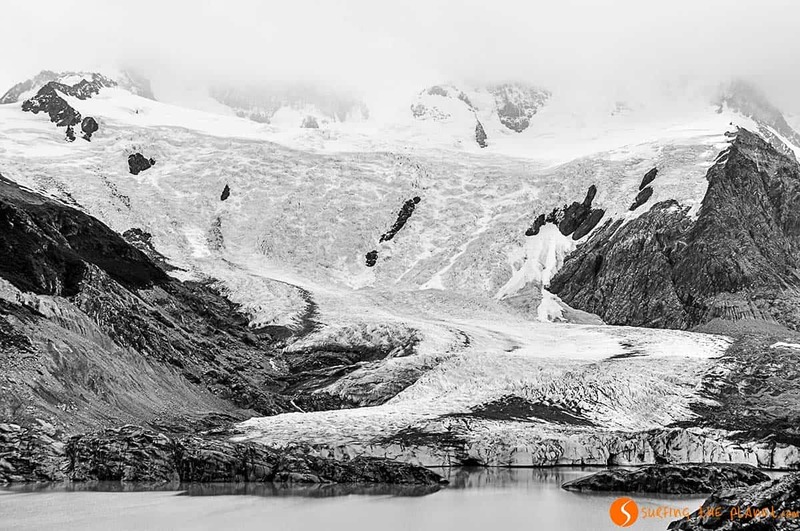 Our photos follow an itinerary from the South to the North, starting at the end of the world in Ushuaia. 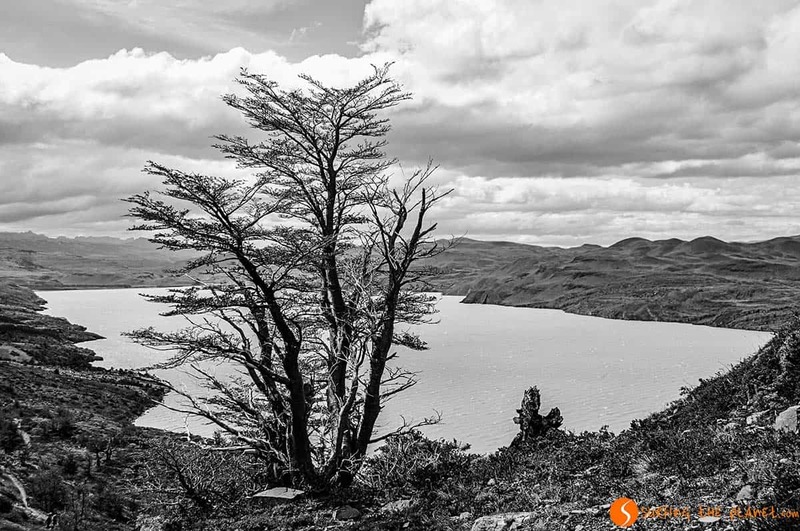 Enjoy the pictures of these dramatic landscapes, which surely will make you feel like visiting Patagonia. 12 Where is Patagonia located? 16 PIN IT FOR LATER? Patagonia is situated in the Southern end of South America. This vast region is shared between Argentina and Chile, although most of the land belongs to the Argentineans. The best way to get to Patagonia is to fly to Ushuaia (or some place in the far South) from Buenos Aires and make your way North stopping at the most beautiful places. 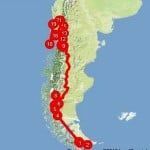 If you want to visit the most Southern part of the region, the long busride from the capital would take several days, crossing the border between Argentina and Chile several times and it would turn out to be an infinite journey. 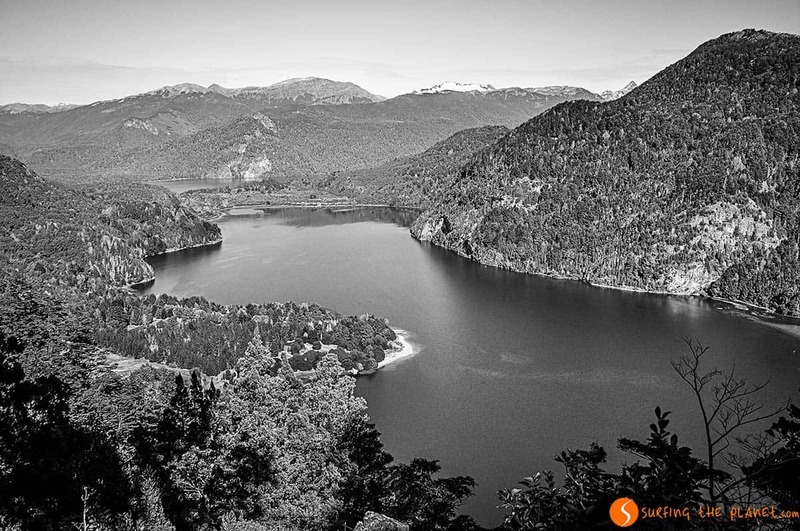 Our photos above show you the places in Patagonia that we would recommend you to visit. 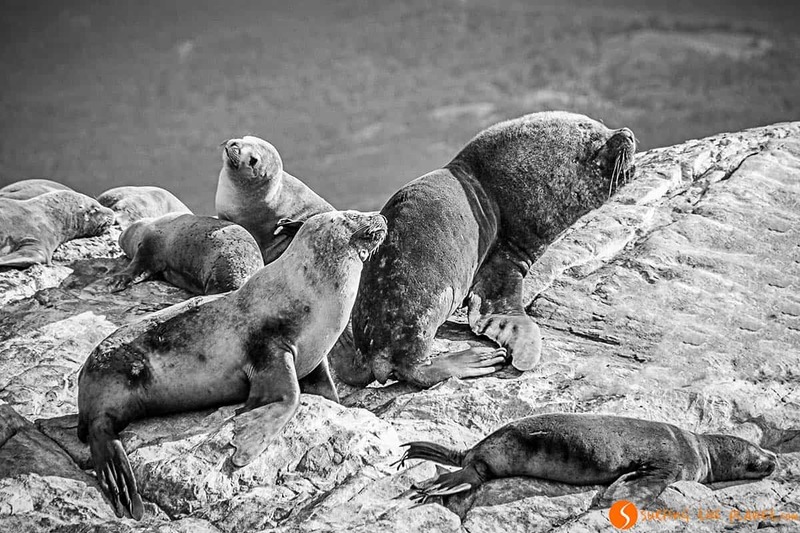 Starting in Ushuaia, a very peculiar city, known as the most Southern town in the world, you should visit the Tierra del Fuego National Park with beautiful lakes and green forests, and enjoy a boat trip in the Beagle Strait where apart from the landscape, you can see quite a lot of wildlife: lion seals and penguins amongst others. 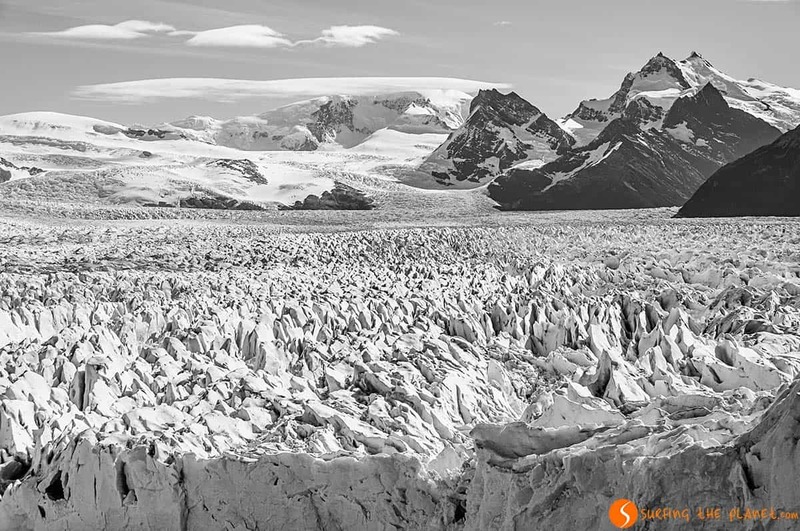 Then head North and cross the border to Chile till you get to Puerto Natales, where you can do a 3 or more day trek in the Torres del Paine National Park. 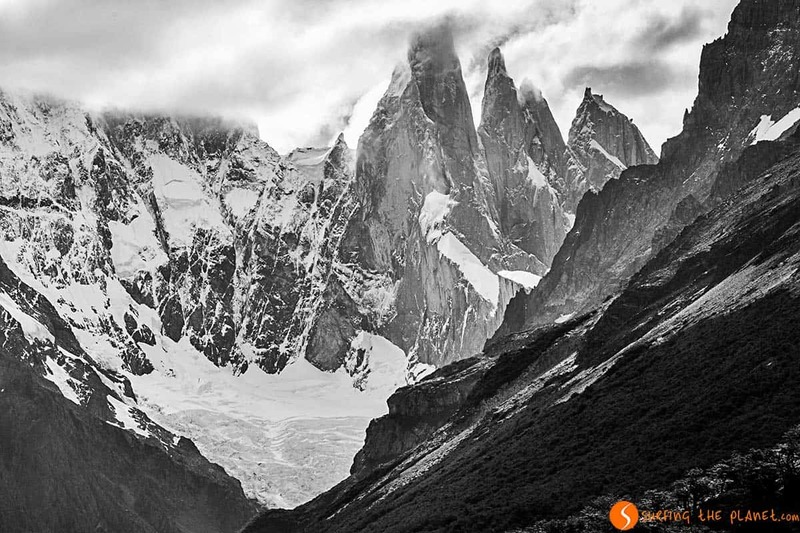 Here you can see the famous towers, probably the most dramatic mountain landscape of the whole Patagonia region. 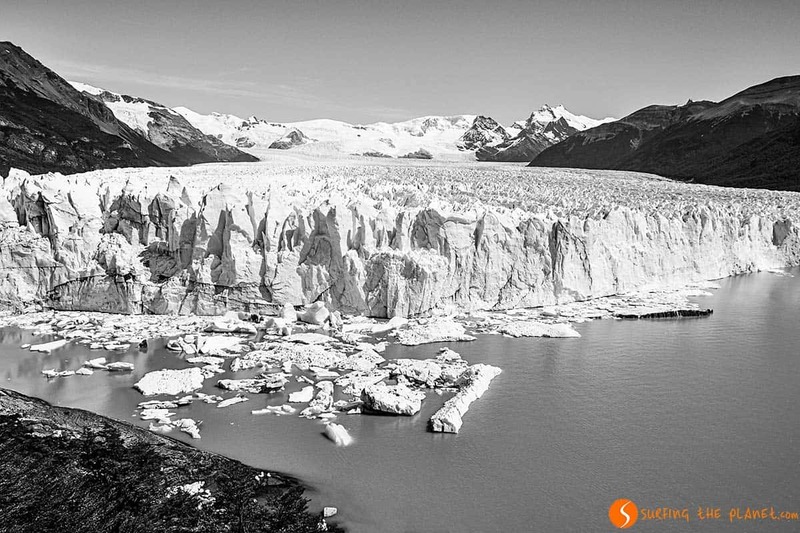 Continuing your way North, another place that you have to visit in Patagonia is the Perito Moreno Glacier, which can be accessed from El Calafate. 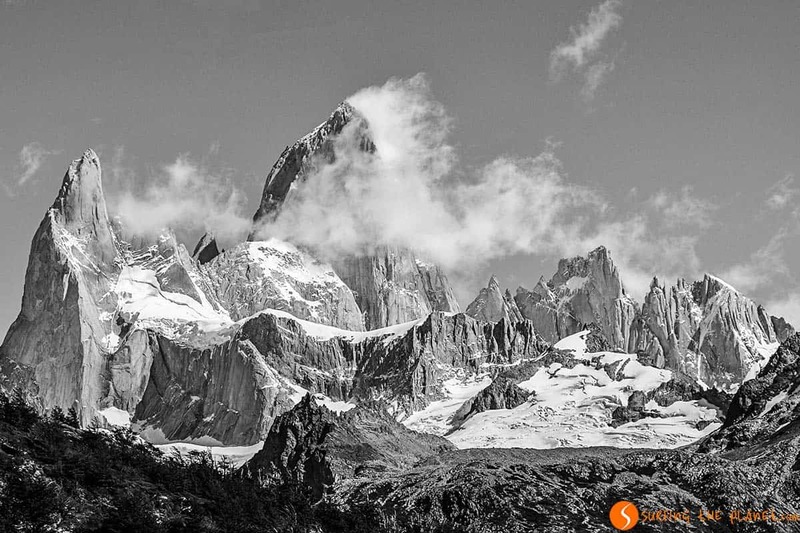 Although you might start to get tired of the hikes, you can’t miss out on El Chaltén, which is the hiking capital of the country. 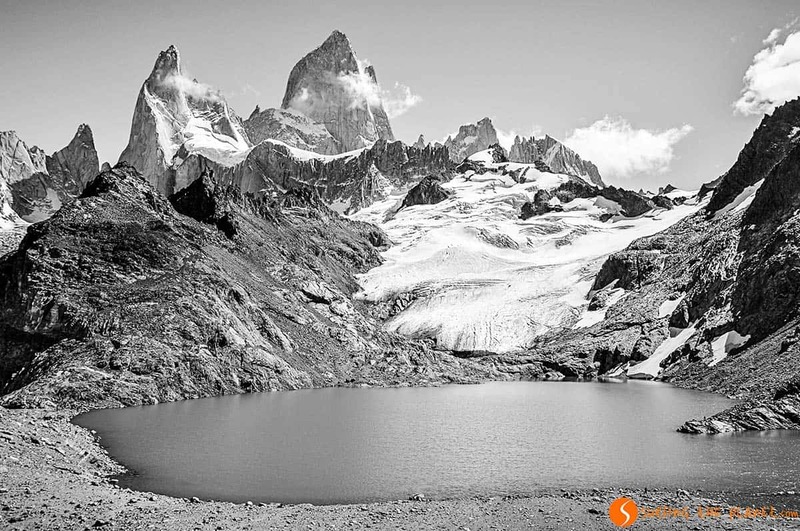 You can do several trails from here, the most populars are the one that goes to the lagoon close to Cerro Torre and you definitely have to see Mount Fitz Roy, a peak of such a unique shape. If you still have energy, you can explore the Los Alerces National Park close to Esquel, which is quite off the beaten path, but the colors of the rivers and lakes will make this park one of the top places in your Patagonia itinerary. 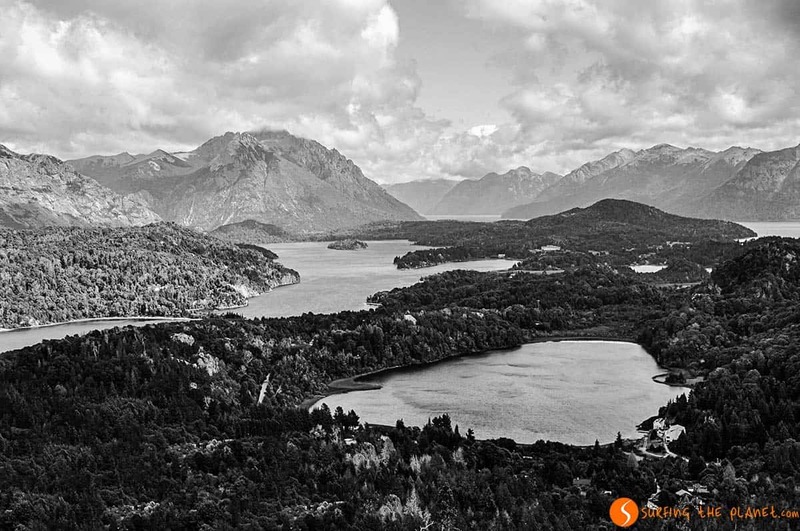 Bariloche, refered to as the capital of the region, has to be your next stop, where you can rent a car and visit the Nahuel Huapi National Park and the Route of the 7 Lakes. 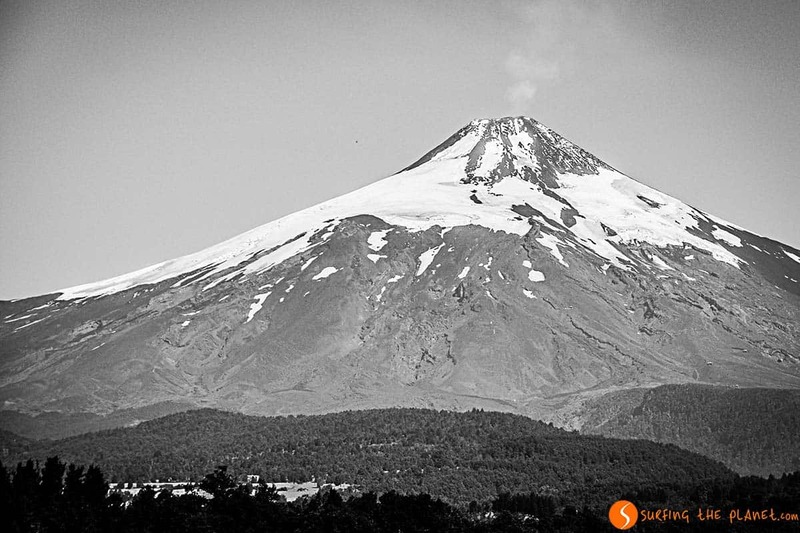 The final stop of your visit to Patagonia can be Pucón, from where you can climb the Villarrica Volcano if you feel brave or you can just enjoy the views of the volcano from either Pucón or Villarrica. Are you already aching to visit Patagonia? Read about how to plan a trip to this far land. Want to read more about this wonderful country? Check out our mini guide about traveling to Argentina with lots of useful tips and information. – ZZZ… BOOK YOUR HOTEL IN THE PATAGONIA – find the best hotel for you. 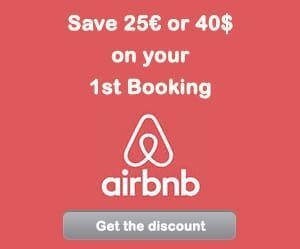 – FLYYY… Find the CHEAPEST FLIGHT TO PATAGONIA. – BRUM BRUM… RENT A CHEAP CAR FOR YOUR TRIP TO PATAGONIA – find the best car for you. Love!! I cannot wait to go to Patagonia. Not often that I see b & w photos of nature these days. 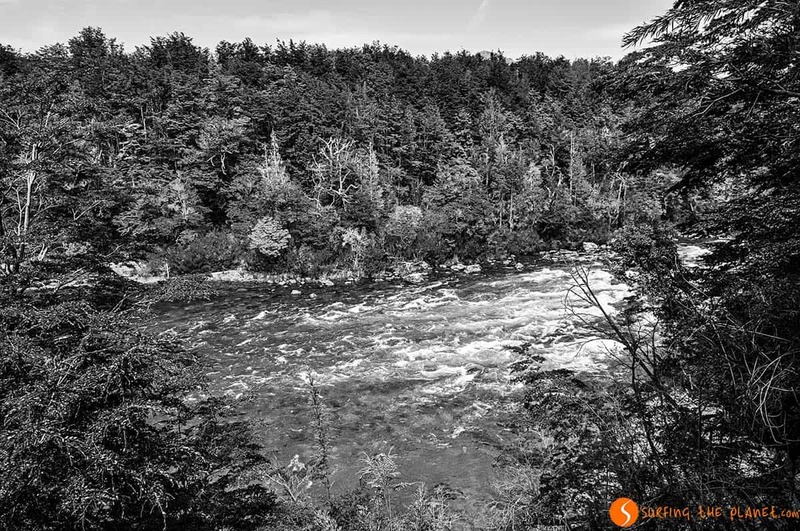 I grew up loving Ansel Adams and the mystery of nature as portrayed in his photos. Lovely page. 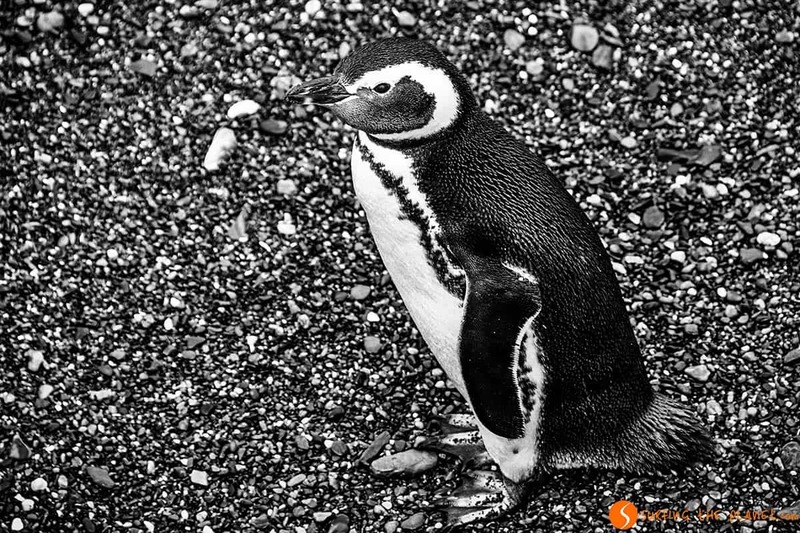 I love B&W Photography of Nature, it’s so easier to get focused on the content and the details, as you don’t get distracted by the color. I am sure you will love Patagonia! thanks for commenting! The photos even show how breathtaking it is! My jaw dropped at how beautiful it is. I actually never heard of this, but your post is very convincing! Thanks Stacey for this lovely comment! Breathtaking photos! I think we may be headed down there next spring (hopefully). We’ll be going for an Antarctic cruise. Stunning photos! I was not familiar with this area either. Looks like an awesome trip. If the place looks so nice in Black and white, I ca only image how beautiful it will be in color! I hope one day I get to go there. Lovely photographs! These photographs are stunning. I’ve never been to South America but every time I see pictures of Patagonia I really want to go! Wonderful idea and truly stuning pictures – whether that orange watermark was needed…. we’ll never know 😉 it sure seems massively distracting! The black and white photos are striking – I can only imagine how stunning they would be in full color! These photos are incredible. Tierra del Fuego is most definitely on my list of places to go and this post has just confirmed that. Incidentally what camera are you using? Thanks Conor! We are using a Nikon D90 with a 18-200 mm lens. The black and white theme is gorgeous. You can never quite capture the scale of landscape in photos, but these are pretty impressive. I wish we had made it down to Patagonia while we were in South America. I’d love to hitchhike through some of it (in the Summer…). Thanks Katie for this lovely comment! Patagonia is a really unique place, I hope you can get to visit there soon! What dramatic scenery! 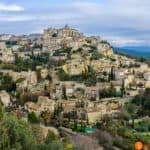 Yet another destination to add to my list of places to see! Thanks! I am glad you liked our post! I really like the Ansel Adams feel to these pictures, great job! Patagonia is a place I’ve yet to visit but hope to one day. Wow, any kind of reference to Ansel Adams is a real honor! Thank you so much! Your photos are always just striking! These are no exception – I especially love the second to last photo – there is so much to see! Now, I will blush! Thanks so much for this comment! 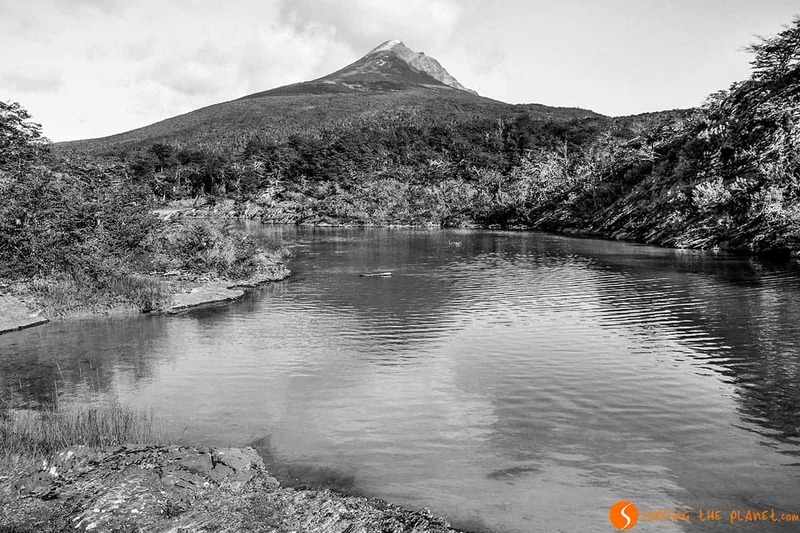 Stunning vistas….I can’t wait to see these peaks in person! Your pictures have made ‘the end of the world’ an entirely desirable place to go! Fantastic! I’m with Karilyn, the black and white here has a really timeless feel to it. I’ve wanted to get to Patagonia for a long time, so I can’t exactly say you’ve added it to my travel list, but you’ve definitely raised the bar for photography once I get there! Such a unique perspective to Patagonia. B&W was such a great idea. It’s such a long way away for us here in India, I really do hope we plan that big trip to S America soon! Thanks so much! I hope you’ll get to visit this wonderful land! How beautiful. The black and white adds a lot to your pictures. My absolute favorite is the Mount Fitz Roy. Thanks Christina for this kind comment! 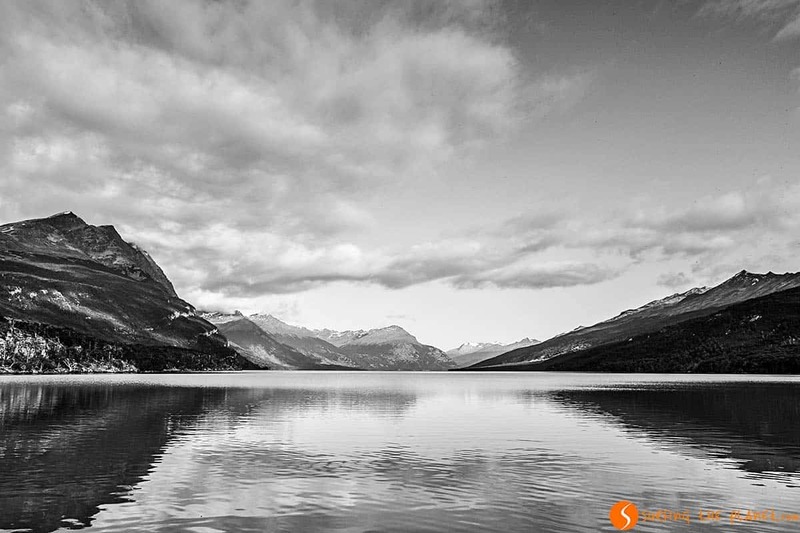 Wonderful photos, the black and white really captures the drama of the scenery. 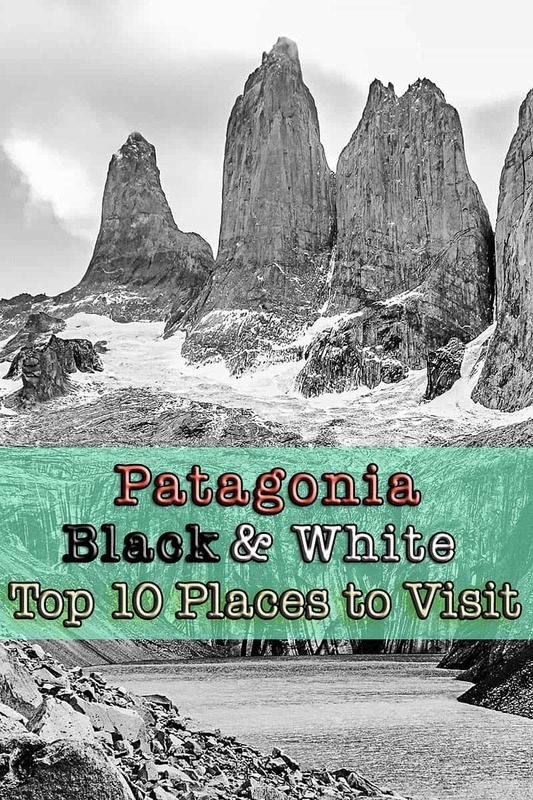 Patagonia is high up there on the list of places in South America we want to visit. As climbers it has a real draw! Thanks guys! I am sure as climbers you will have loads of great adventures there! WOW These pictures are just Amazing!!! 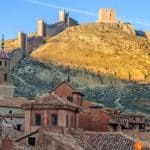 You are great travel photographers! Thanks so much! It’s really kind of you! Incredible photos that really pronounce the cold in the area. 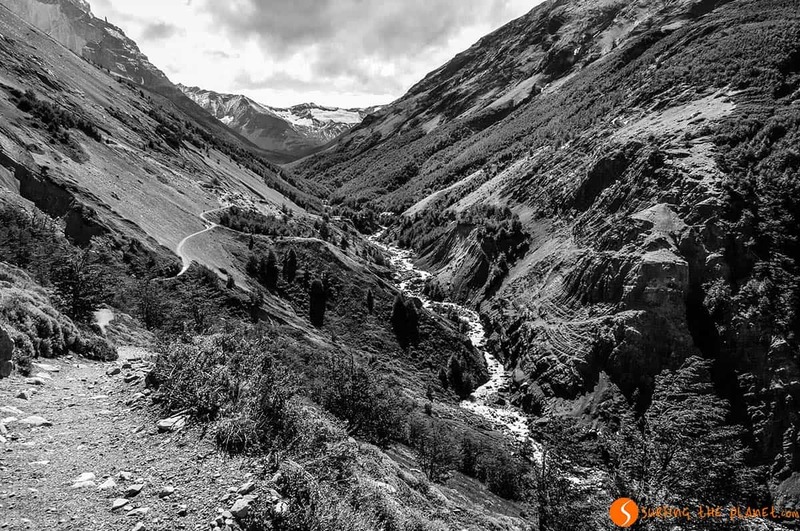 Taking, or editing them, into black and white makes the images even more amazing. Thanks Tim! 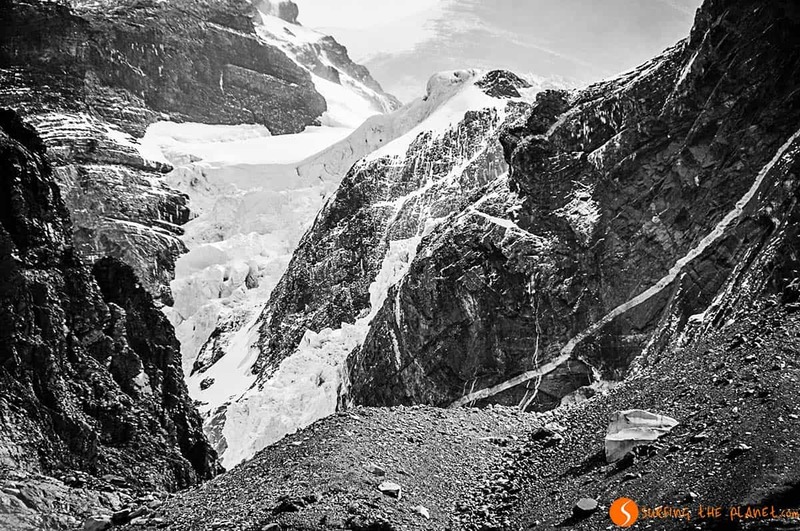 I totally agree with you that black&white has such a huge power with these landscape images from cold mountaineous areas. All of the pictures are lovely but I am partial to the Beagle Strait pics. Patagonia is fabulous. What a wonderland! It’s really a wonderland, you are totally right! Thanks for commenting! Thanks Camille! 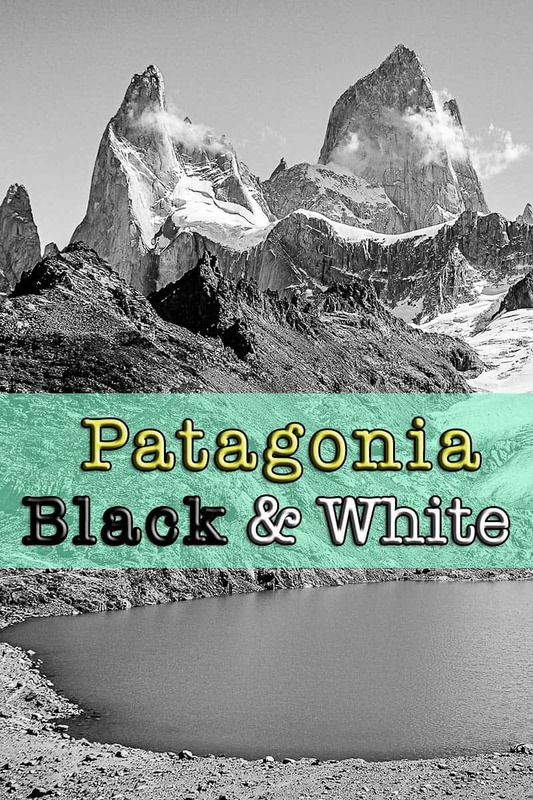 I am glad we share the love for Patagonia!